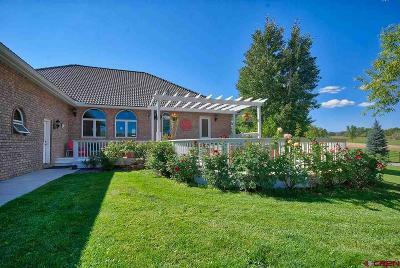 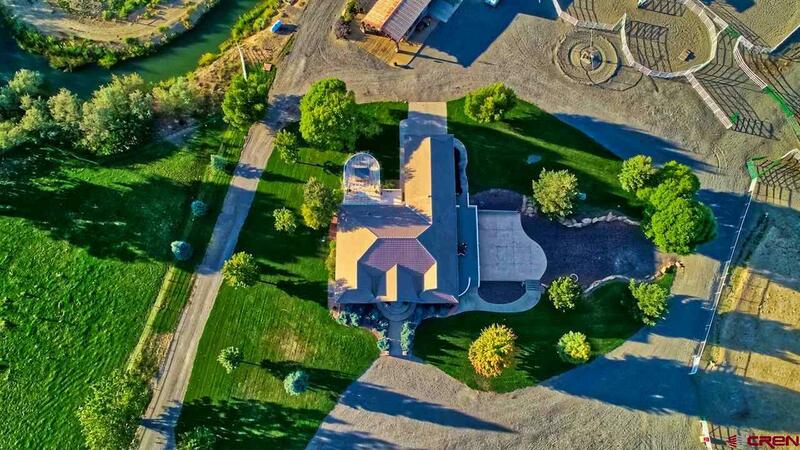 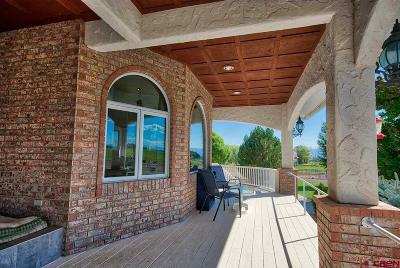 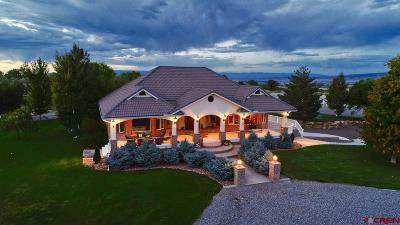 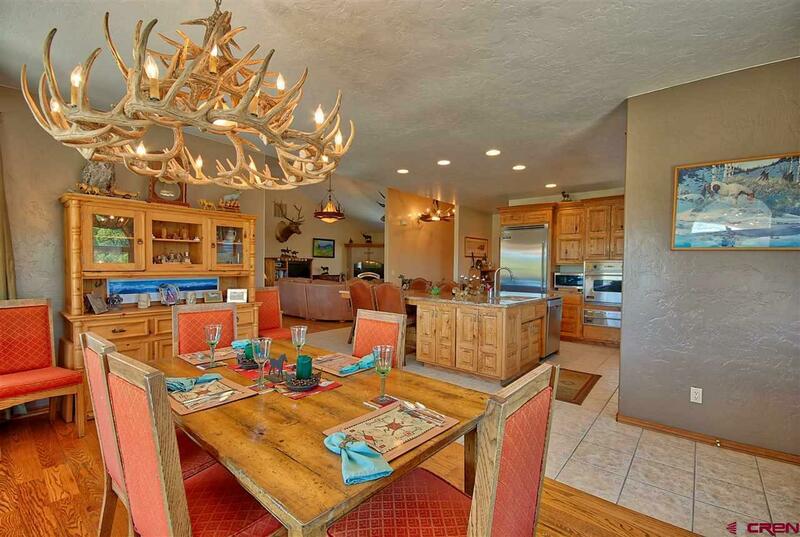 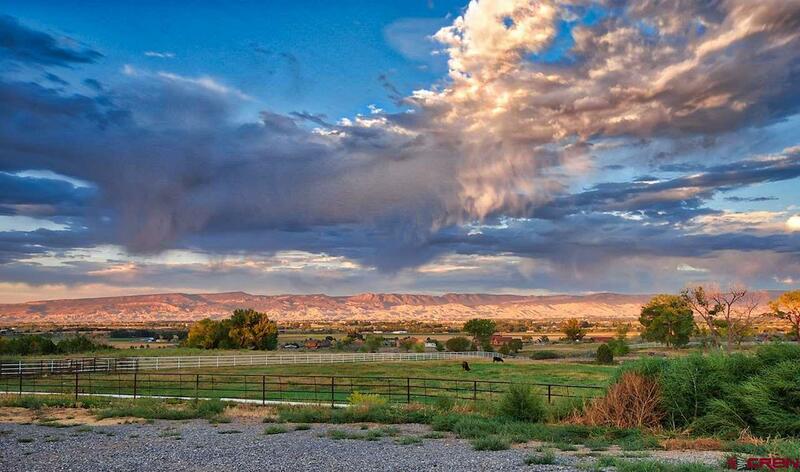 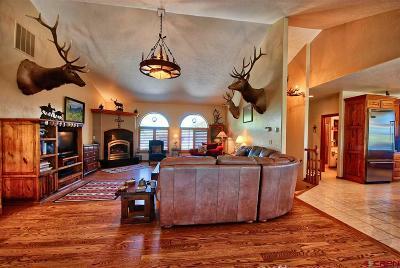 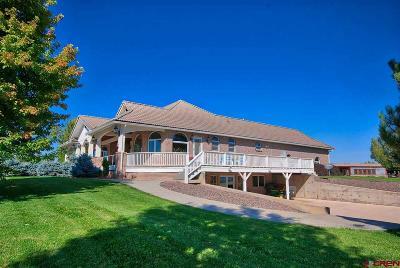 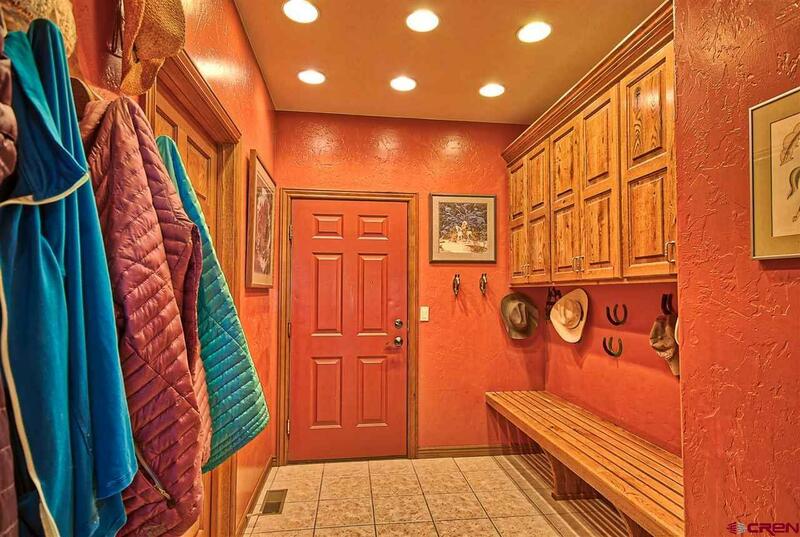 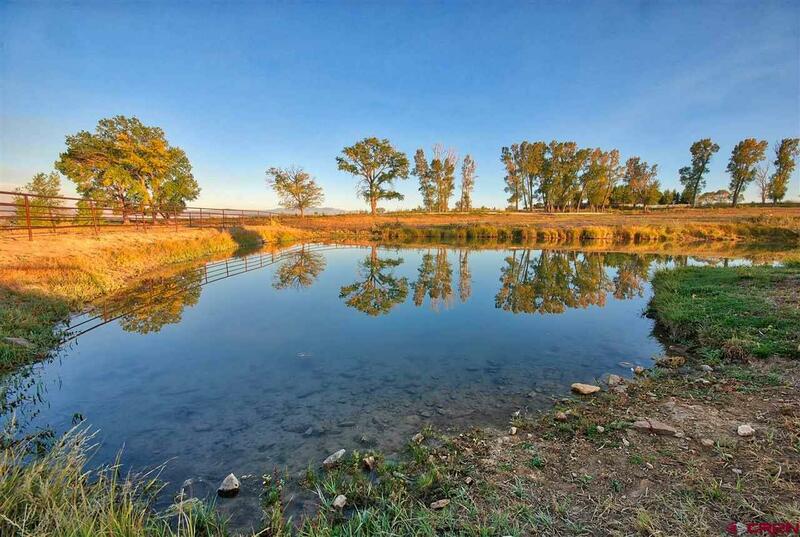 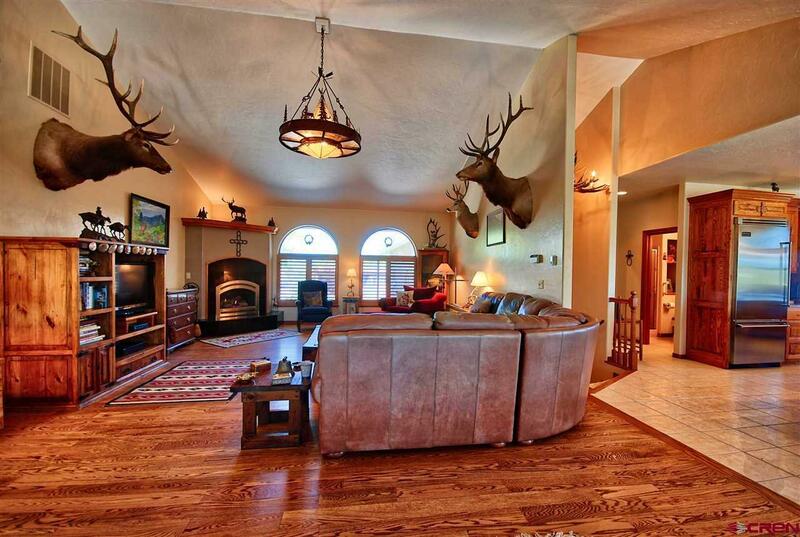 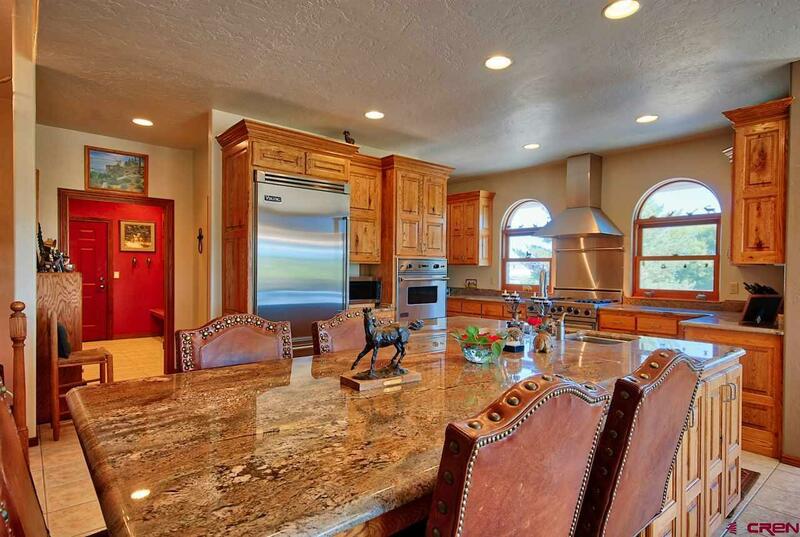 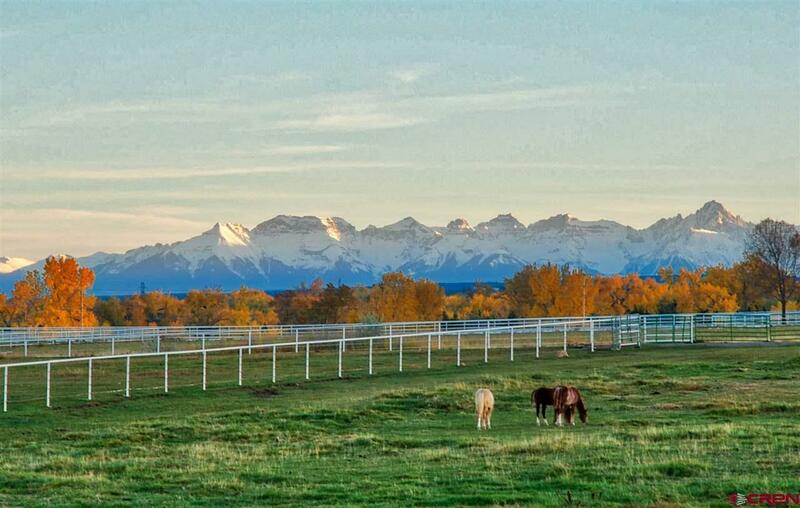 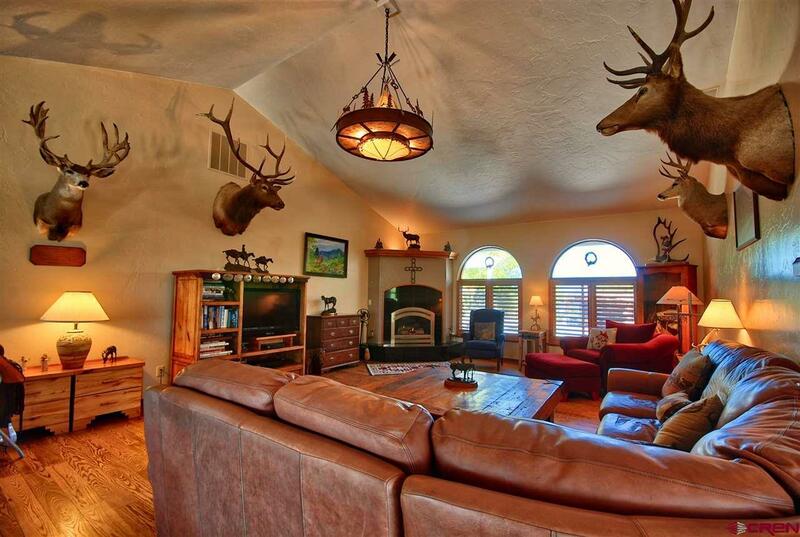 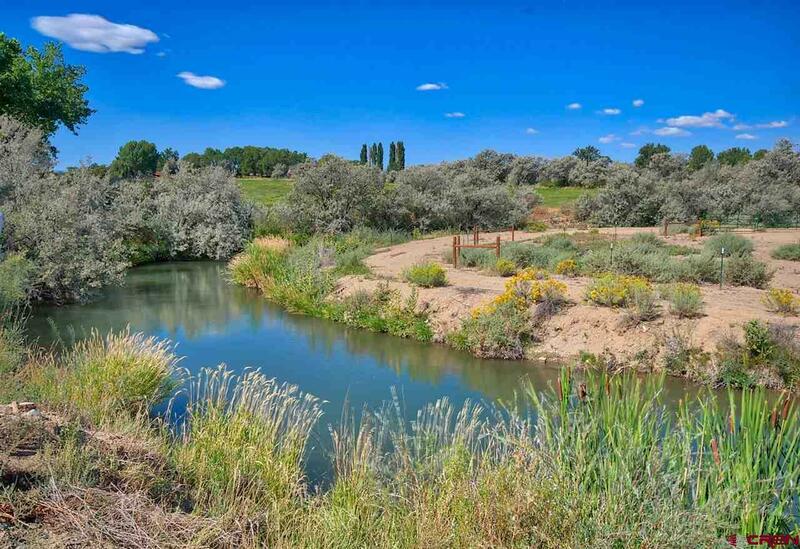 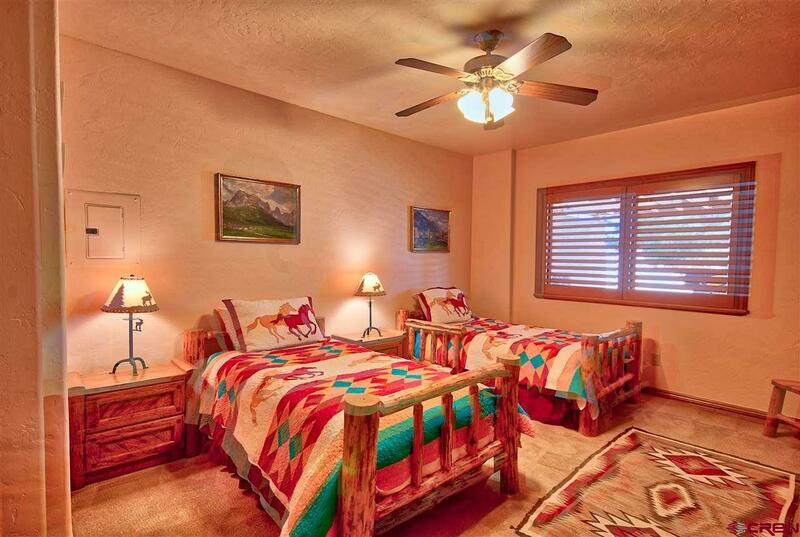 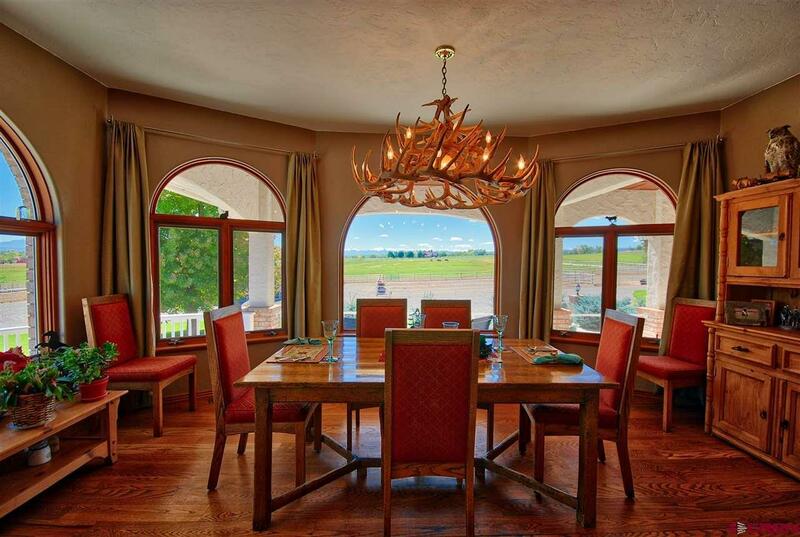 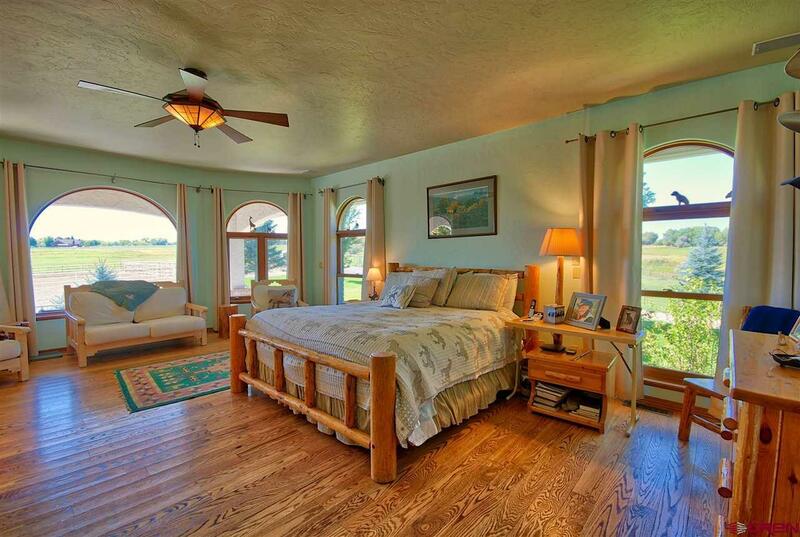 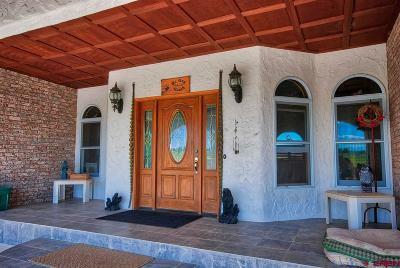 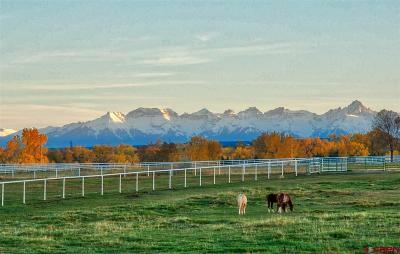 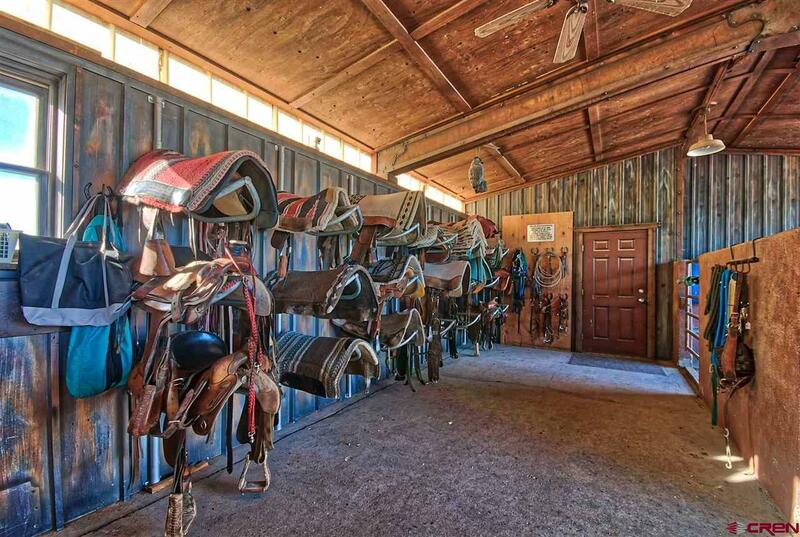 Absolutely Spectacular horse ranch is located on Spring Creek Mesa encompassing approx. 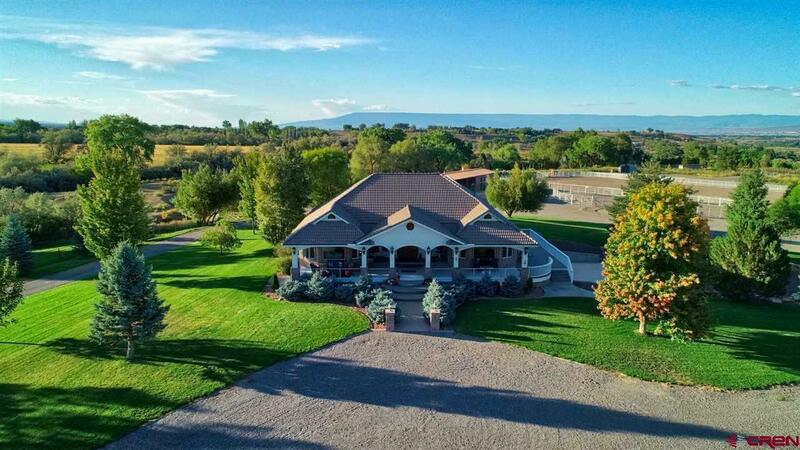 53 acres with a stunning house that radiates old world charm yet with sophisticated Mediterranean architecture built by Denny Hanson. 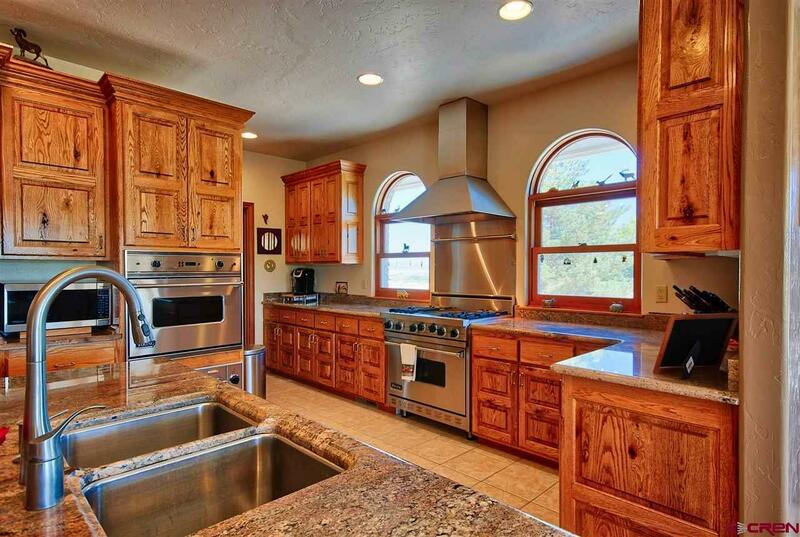 This 4 bedroom 3 bath home is approximately 3, 823 sq ft and has a 2-car oversized heated garage with a walkout basement and a list of features that include: Custom oak interior doors, gas fireplace, Granite countertops, Large granite slab island, knotty oak cabinets, tumbled Italian flooring, Viking professional appliances and covered porch. 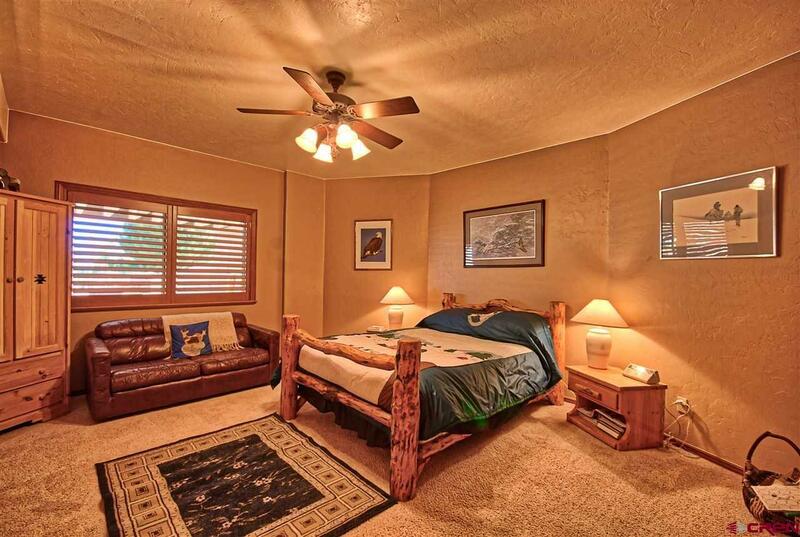 It also has a deck off the east side of the house as well as off the master bedroom leading to the hot tub. 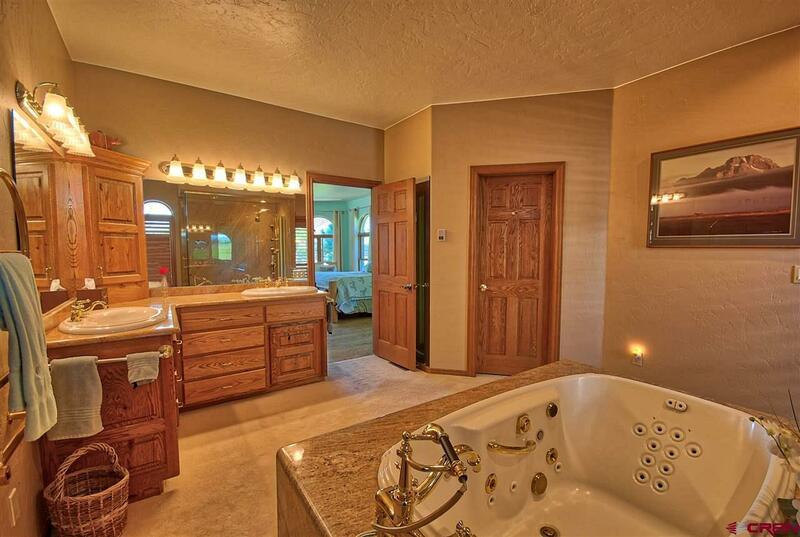 The master bedroom is located on the upper level and has a large bathroom adorned in custom granite, fitted with a Kohler whirlpool tub, steam shower and shower tower. 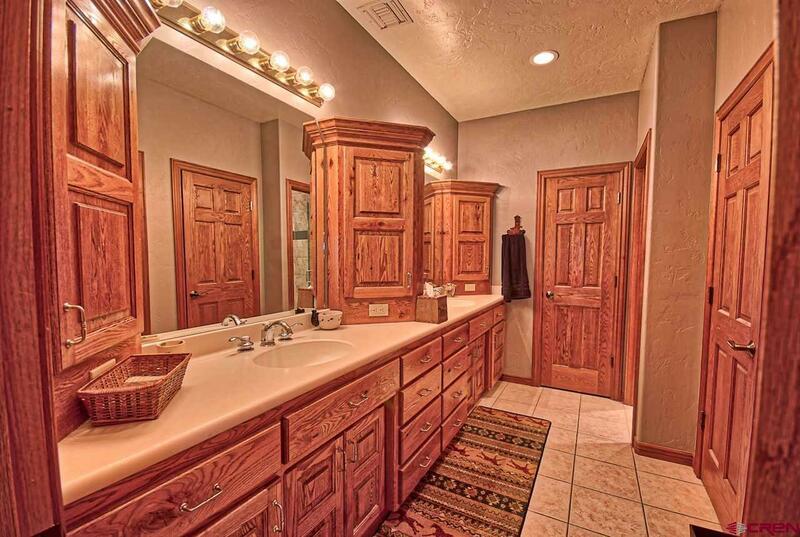 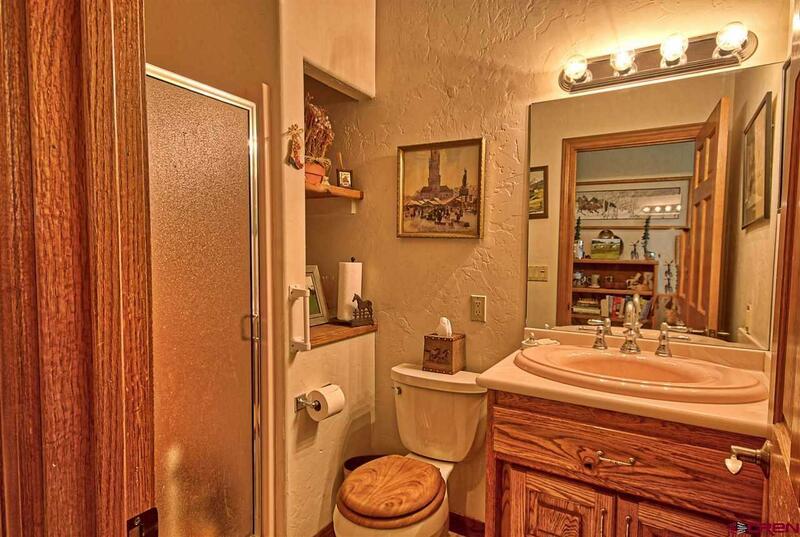 The master bath also has a separate stall room and walk-in closet with a private exit to the large back deck and hot tub. The basement is fully finished with 3 spacious bedrooms and a large bathroom with double sinks, separate shower room and stall room, two closets and custom oak cabinets. 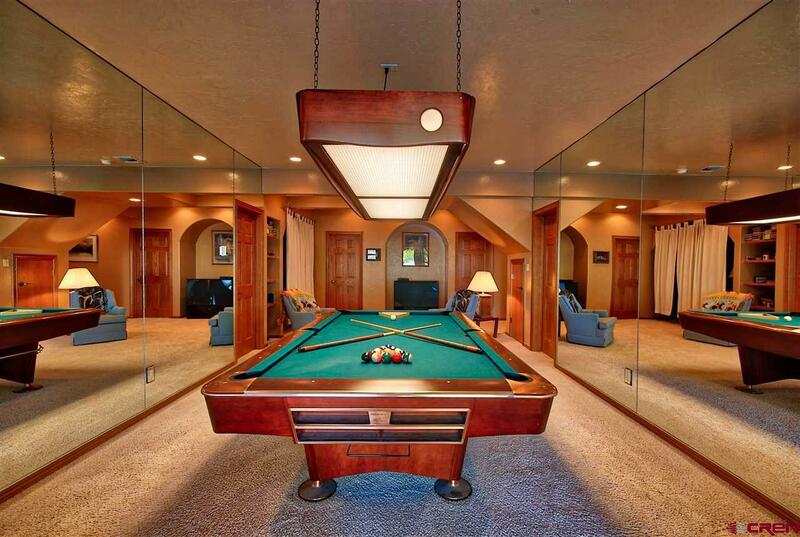 The family open space includes a Brunswick Gold Crown Pool Table, room for game table, a tv nook and a built in bookcase to hold board games for a fun relaxing atmosphere. 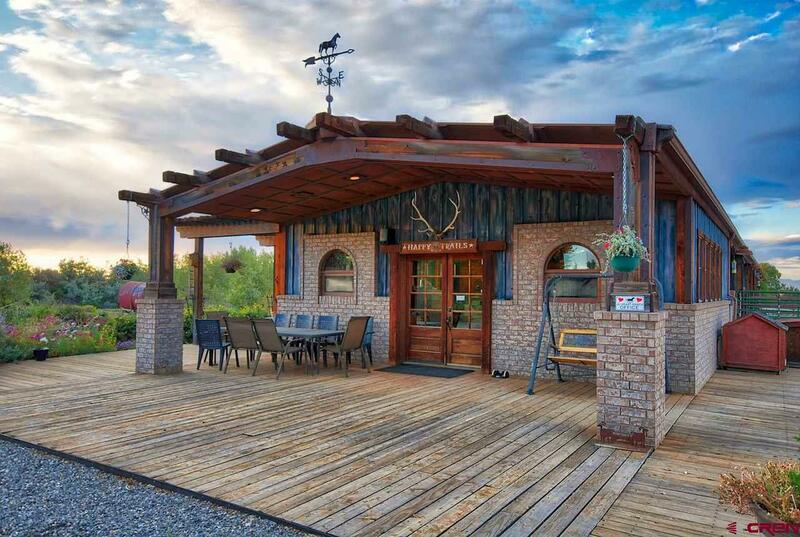 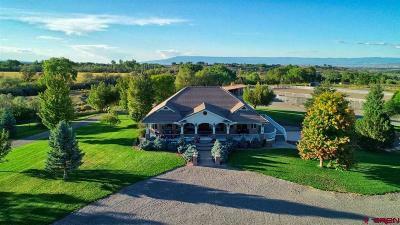 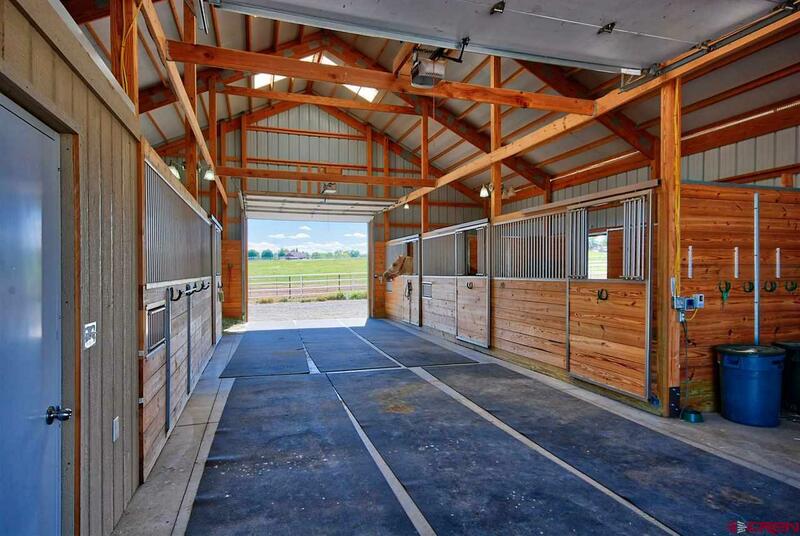 Then step out your back door to enter the expansive 26 X 125 barn featuring cedar timbers, handcrafted iron, 5-concrete sided stalls with full swing gated and automatic heated horse waterers. 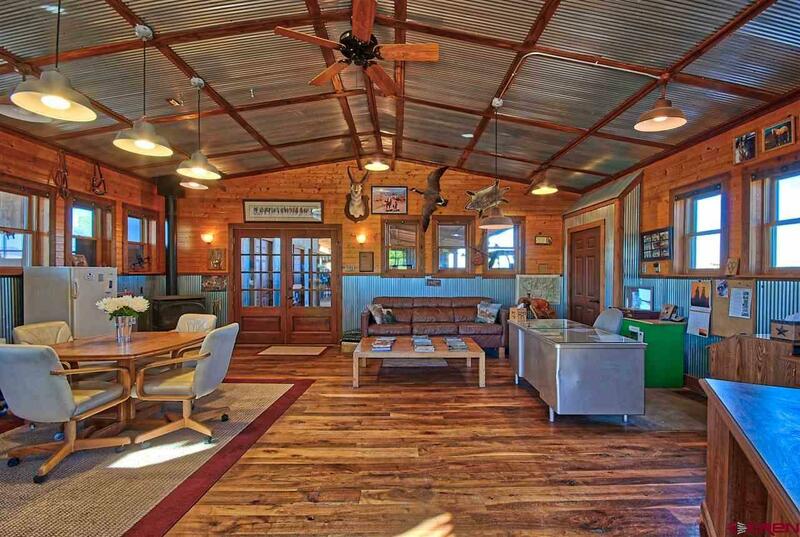 The 16ft work bench is made of oak beams and handcrafted iron. 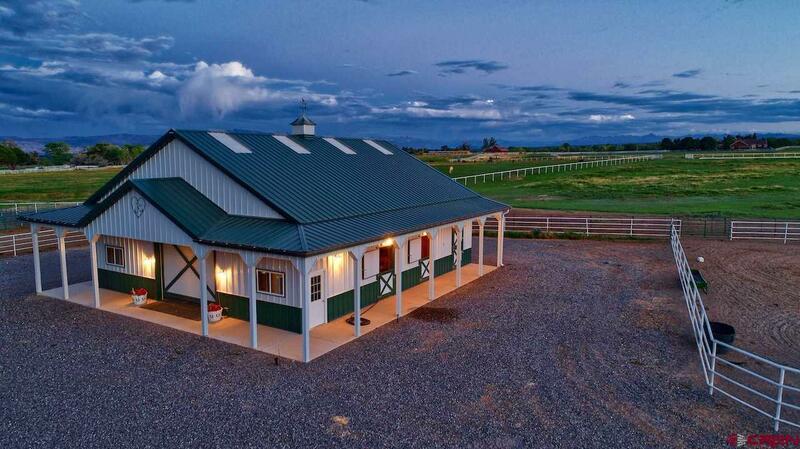 The barn features a 14 X 25 tack room, 4 X 6 bath, and 23 X 25 office with antique Brazilian mahogany wood floor, knotty pine walls, vaulted ceiling and freestanding soapstone fireplace and redwood decking. 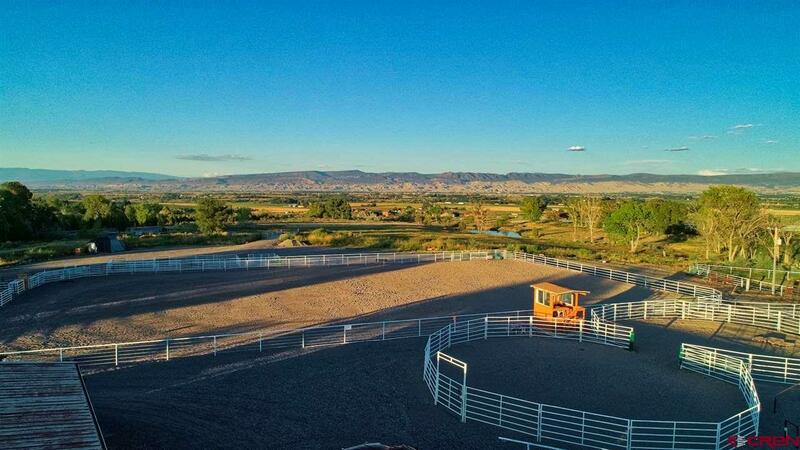 Located on the north end of the property is a 140 ft X 230 ft outdoor roping arena with return alley is sand based, designed for team calf roping. 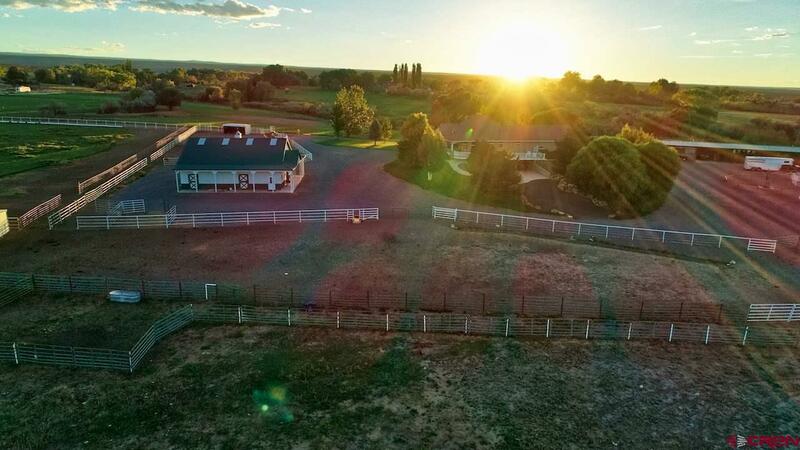 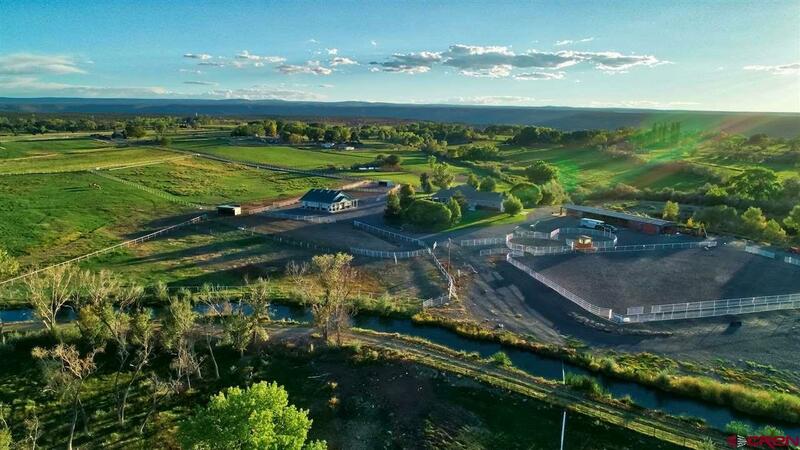 Its also perfect for practice and friendly competition, as well as barrel racing and dressage, ready for your chutes and gates and fully landscaped with dramatic 360 degree views. 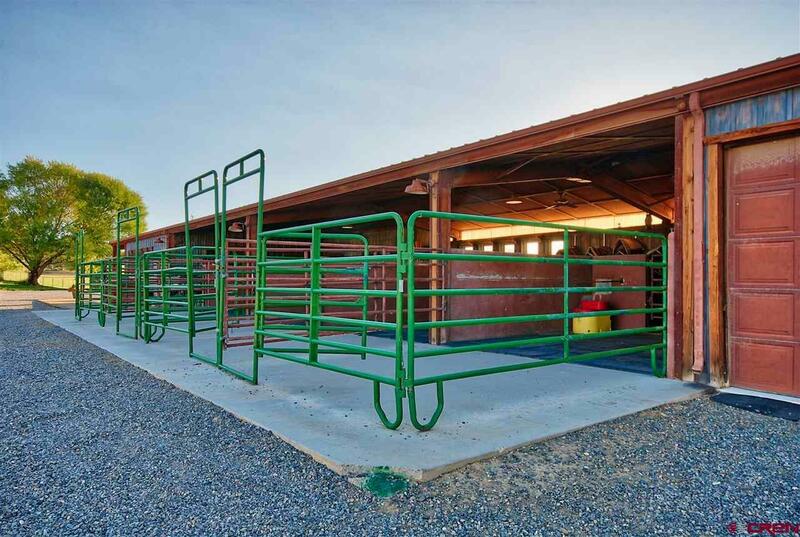 There are also two 60 ft diameter sorting/round pens excellent for team penning and sorting work as well.